We are all about innovative, farm-fresh menus, but sometimes you just gotta have these favorites Americana Style! 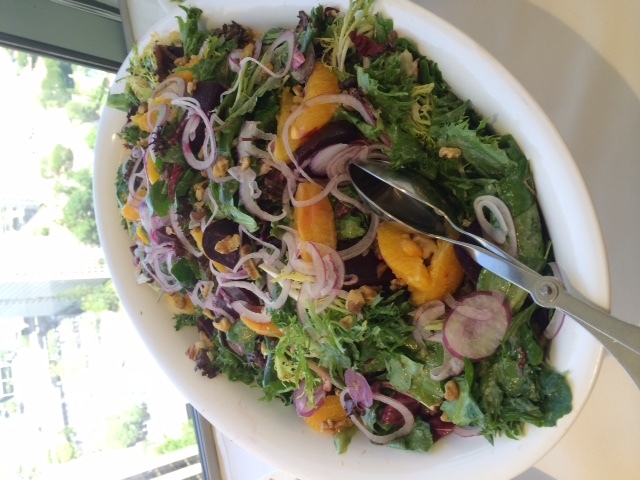 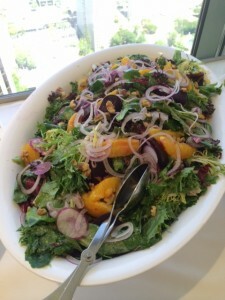 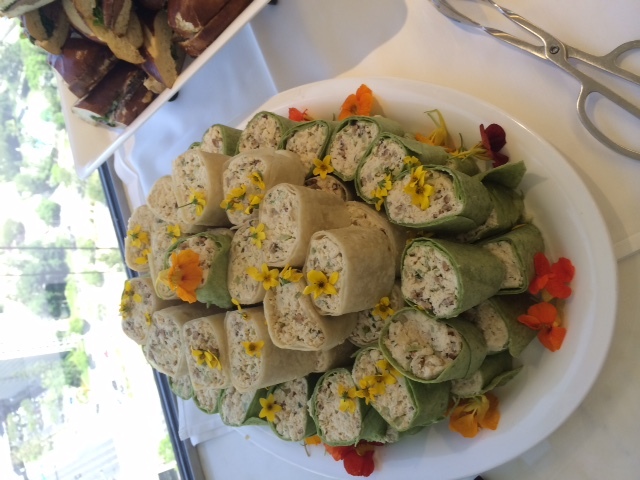 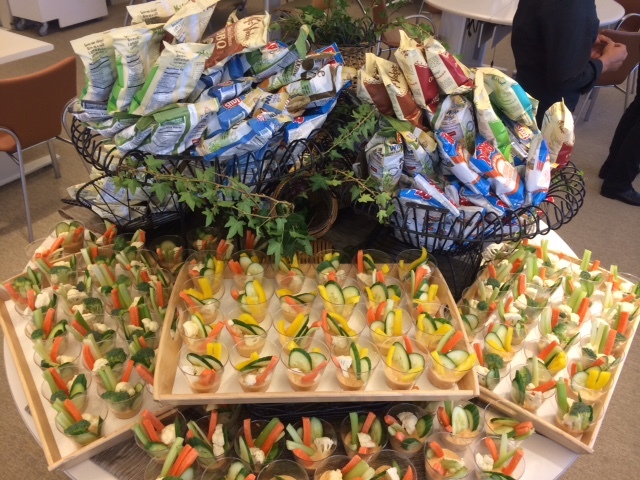 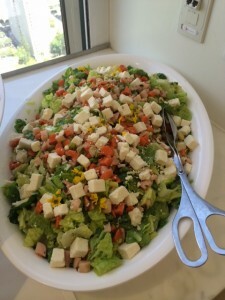 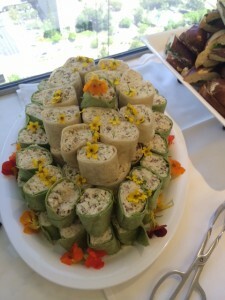 Lunch for this day at OAKTREE Capital included a variety of flavorful salads, pinwheel sandwiches, crudite with humus in individual containers, fresh fruit, and of course, an indulgent selection of everyone's favorite chips! 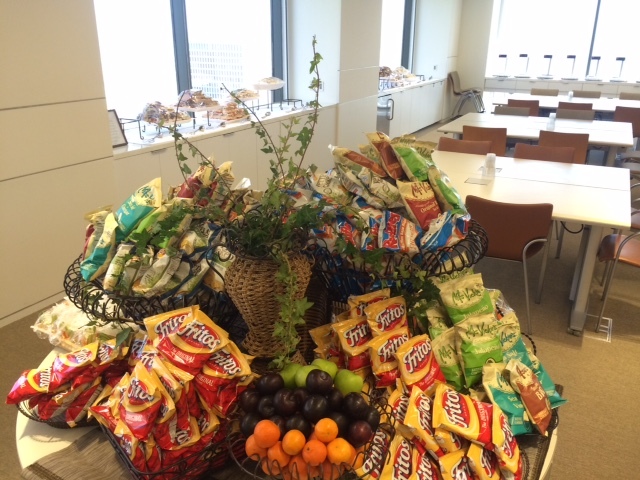 Let's face it, we all just LOVE a salty crunchy bag of chips with lunch on occasion!